Finding a reliable 24-hour locksmith in Round Rock Texas should be simple. When you’re in need of lock services, or more importantly an emergency mobile locksmith, you want a locksmith company you can rely on. We are Round Rock Locksmith Pros and are locally owned and operated. With experienced locksmiths as well as state-of-the-art tools, there’s no task we can’t handle. We’re proud to offer a wide array of services that you can count on. 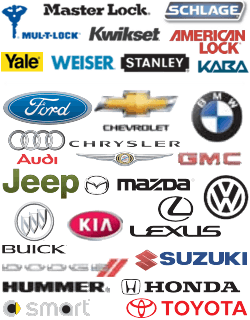 As a local locksmith, we work with homes, businesses, and automobiles. As a residential locksmith provider, we help with such things as home lockouts, updating locks, removing broken keys inside of locks and much more. As a commercial locksmith company, we’re able to add security to your business. We can change master key lock systems, install access control mechanisms, and provide such things as panic bar systems and automatic door closers. 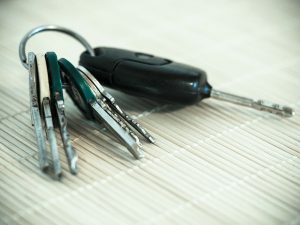 Even as an automotive locksmith, we can help when you have locked your keys inside, broken the key inside the ignition, and provide you with car key replacements for car fobs, laser cut car keys and more. We provide 24-hour locksmith services in Round Rock and surrounding areas. And our fees don’t increase just because you call us late at night. We charge the same low prices no matter what time you request our services. And our emergency locksmith solutions cover everything from lockouts, burglary damage repair, and a whole lot more. When it comes to installations and repairs for lock systems, we do it all! Count on us for quick services for deadbolts, mortise locks, profile cylinder locks and we can even update your property with new state-of-the-art biometric locks. When you need a 24-hour locksmith in Round Rock TX, we’re here for you. We operate nonstop to help you when you have lost a key or gotten locked out of a building or vehicle. We’re also quick to provide burglary damage repairs so your home or business is secure once again. We have transparent pricing, which is provided to you up front. This means no hidden costs, and we have competitive rates to ensure you’re never spending more for locksmith services in Round Rock Texas than what’s necessary. We’re also able to provide 30 minute (or less) response times, ensuring you’re never waiting for too long. Our expert locksmiths have a large inventory of tools and supplies on the truck, so most repairs can be made immediately. Our 24-hour locksmith services are available every day of the year, even on weekends and holiday. Our team is local, so we can always reach you quickly. All of our technicians have years of experience. We always our customer’s needs first. We won’t try to convince you to pay for something you don’t really need. Our customer service staff is friendly, so you can feel more comfortable in frustrating situations like home lockouts. We are your one-stop-shop for all of your locksmith needs. 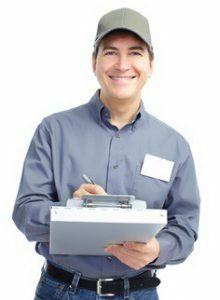 Always look for a licensed and insured locksmith so you don’t end up paying for someone else’s damage (all of our technicians are licensed, so no need to worry when you call us). Have ID with you because a locksmith should ask for it before they let you into a home, business, or car. And that’s for your safety and security. Locksmiths are needed when you least expect it, so most calls happen at night and over the weekend. Make sure to find a safe area to wait for a technician to arrive. We’re here for you 24/7, so you are never locked out of a home or business for long. Whether you need your home rekeyed, you need higher security for your business, or you want a replacement fob for your car, we’re able to take good care of you. Learn more about us and contact Round Rock Locksmith Pros to take advantage of our professional 24-hour lock and key services in Round Rock today! 24-Hour Locksmith In Round Rock Texas https://round-rock-locksmith.com/24-hour-locksmith-round-rock-tx/ 4.1/5 based upon 27 reviews.